When it comes to Star Trek, the ship is vital. We’ve had the Enterprise. Then the Enterprise. Then a change with a space station in Deep Space Nine. And the Voyager. And then, oh look, Enterprise. And now we can add Discovery to that list. 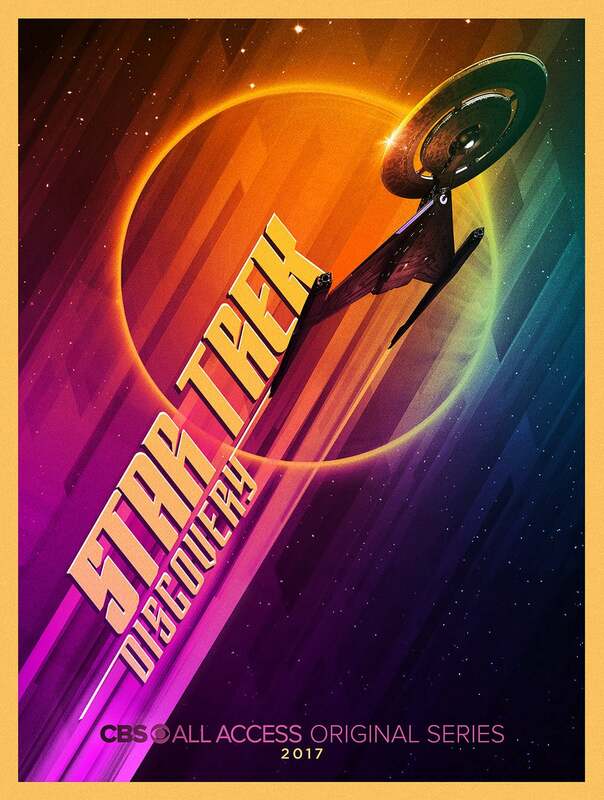 This new poster comes as Star Trek: Discovery prepares to have its very own San Diego Comic-Con panel. We saw bits of the ship last year, but it was shared as part of a larger Star Trek panel. Now the newborn show is all grown up. I legitimately love the colours on this poster—and the gentle homage that streaky rainbow pays to The Motion Picture. 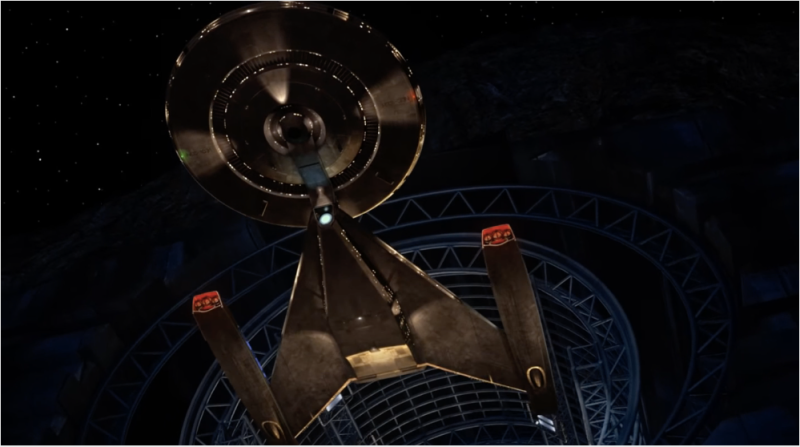 We can also see that the design of Discovery has undergone a bit of a change since we first saw the ship at Comic-Con last year. For one thing, you couldn’t really tell in this image that the saucer section had a double-ring, whereas it’s clearly got gaps in the new poster. The nacelles have changed a fair bit—they’re pulled back and are more streamlined. The variable colouring on the hull (from plating, I guess?) is still there, but the light under the saucer isn’t pointing forward anymore. There’s a whole lighted dome. It’s a good design, and putting the nacelles below the saucer instead of over it, like in the original Enterprise, isn’t quite the same as Ralph McQuarrie’s original concept art for a new Enterprise, but it’s similar. It’s sort of like Enterprise, that design, and the original show’s ship had a baby. A baby about to go where no one has gone before. Star Trek: Discovery debuts in the US on September 24th. It arrives on Netflix in the UK the next day.